New York architect Peter Marino has completed the new flagship Louis Vuitton Maison on London’s Bond Street, featuring glass windows lined with golden chainmail. 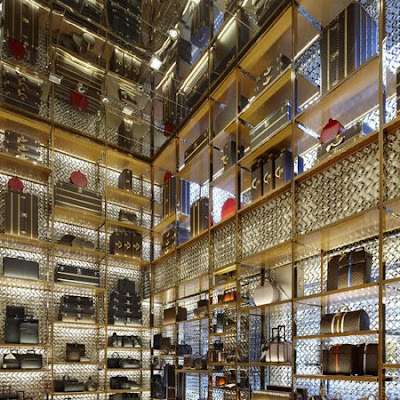 Called Louis Vuitton Maison, the interior walls are lined with silk wallpaper and glossy bamboo. 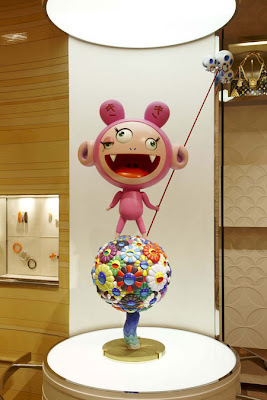 The shop features a sculpture by Japanese artist Takashi Murakami (below). The New Bond Street Maison ranges over three floors and encompasses 1500 square metres of retail space at the junction of New Bond Street and Clifford Street. 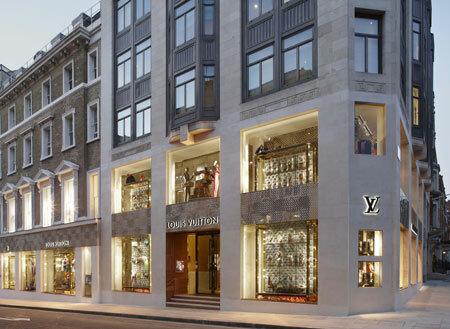 The New Bond Street Maison will be the most luxurious Louis Vuitton store to date, worldwide. 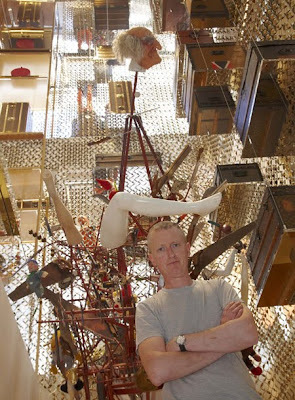 The New Bond Street Maison is conceived as the home of a collector who loves only the best and rarest. The ground floor is devoted to Louis Vuitton accessories and will include both original artworks from well-known names including, Richard Prince and Takashi Murakami, and exclusive products specially designed for the store. 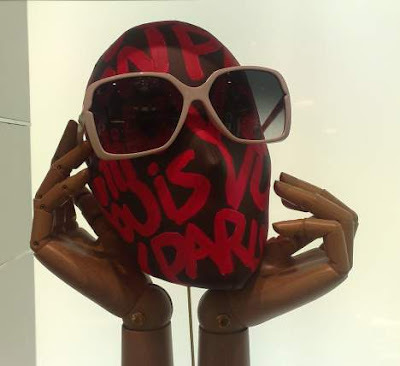 There are separate, circular zones for costume jewellery and sunglasses, and a private client room next to the high jewellery area. Glass stairs to the lower ground floor open the way to the men’s universe, at the centre of which is the men’s club area where customers and their guests can relax. The first floor is devoted to womenswear and shoes, in several intimate areas with generous and luxurious changing rooms. Also here is the unique Librairie which will showcase the best of British contemporary Art Books and bespoke commissions by artists including Anish Kapoor, Chris Ofili and Gary Hume. 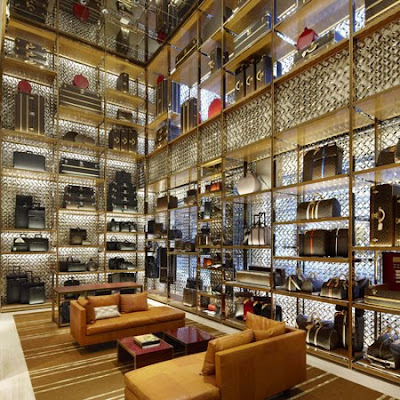 The store’s second floor is a separate, luxurious world – the private client suite, which can only be accessed by invitation.